"Aria" - an elaborate melody sung solo with accompaniment." 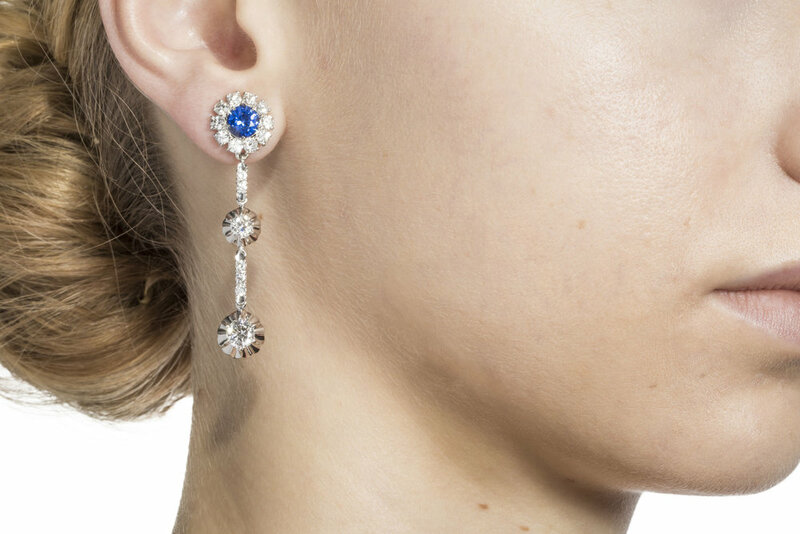 Pair these diamond and white gold drops with any of the Aria stud earrings for a perfect set. 1.91 carats total weight, Larger diamonds are 1.04 carats total weight, E-F in color, VS in clarity. Smaller diamonds are 0.62 carats total weight, E-F in color, VS in clarity. Melee diamonds are 0.25 carats total weight, D-E-F in color, VS in clarity.